The Excellence in Diversity Awards will be judged by leading and proactive figures throughout the equality sector across the UK. Andy started his career straight from school working as an Engineering Design Apprentice. After completing an HND in Computing, Andy spent the next few years working in IT consultancy, project management and IT management. In 1998 he joined Price Waterhouse in London as a Cyber Security Consultant focused on Ethical Hacking. Andy was admitted into the PwC Partnership on the 1st of July 2006. Andy is now the Lead Partner for the International Aid Development Consulting practice at PwC in the United Kingdom. Dianah has worked in the field of diversity and inclusion for many years. 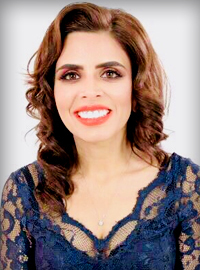 She is the Public Policy Adviser on diversity for the Chartered Institute of Personnel and Development which is the leading professional body in the UK on people management and development. 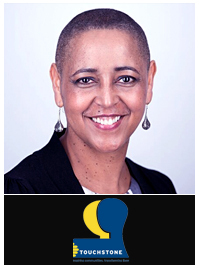 She directs the Institute’s diversity research programme and leads the development of good practice guidance on diversity to help employers make progress in this challenging and complex field. She also leads the Institute’s public policy work on diversity to help shape Government policy and legal provisions such as the Equality Act 2010. Max is a mother, a grandmother, a teacher & a trade unionist: four very important roles. She studied molecular science at Warwick University and has been a teacher of Physics and Chemistry since 1977, hoping to pass on her love of science to young people. She is co-author (as Max Baker) of Access to Advanced Level Chemistry. Max is still working with young people encouraging them to study STEM subjects (Science Engineering Technology and Maths) at University and is a Science Ambassador. Max was part of the national STEM Equality & Diversity Group and works with networks of women scientists. 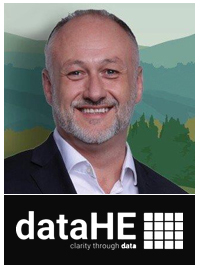 Andrew is co-founder of dataHE and friend of EiDA. Vanessa Howell is head of professional standards at the Chartered Institute of Housing – the sector’s professional body – where she leads on the organisation’s work to equip professionals with the skills, knowledge and expertise they need to excel. She has worked in education for 25 years and has wide-ranging experience of developing and driving standards of practice across a range of professions. 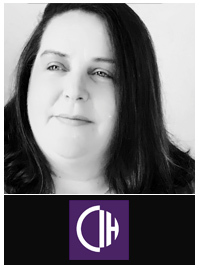 Vanessa also played a crucial role in helping the government to shape the new housing apprenticeships as part of the trailblazer group and is now driving CIH’s work with employers to maximise the changes to bring through new talent. National Diversity Award winner Megan Key is a Diversity & Inclusion Manager in the National Probation Service (NPS) and passionate advocate and campaigner for the trans community. She supports several local and national charities including Mermaids, Diversity Role Models and All About Trans. She contributes to Probation & Prison trans policy and co-created online communities TransWorkersUK and TransGirlsCan to promoteinclusion for trans people in employment and sport. Megan regularly talks publicly on LGBT issues. She has been interviewed by Runners World, VICE, TotalJobs, The Independent, BBC Radio and gave evidence to the Government's Trans Inquiry. Martin Hilditch is an award-winning journalist who specialises in housing policy. He has run numerous campaigns for Inside Housing magazine, including Never Again, set up to call for fire safety improvements after the Grenfell Tower fire which killed at least 71 people last year. He was named business writer of the year by the Professional Publishers Association in 2012, International Building Press feature writer of the year in 2015 and multimedia journalist in 2017. He is managing editor of Inside Housing magazine. Alison Lowe has worked with Voluntary Organisations for 28 years. Right now she works as the Chief Executive of Touchstone a Mental Health Charity in Leeds and wider West Yorkshire. Touchstone work with and for people that are affected by mental health problems and they specialise in working with people from different cultural backgrounds. Touchstone have received multiple awards for their work in equality and diversity, including the number 1 spot in the 2016 and 2017 UK Top 50 Most Inclusive Employers Award. They are a Stonewall Top 100 LGBT-Friendly Employer for the 5th year running and are again a Sunday Times Best Company to work for 2018, being placed 9th nationally. Additionally, Touchstone were judged to be Investors in People Platinum at their latest assessment – only the third organisation in Yorkshire to gain this accolade.